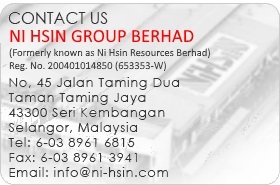 Ni Hsin Resources Berhad . :: ODM/OEM Services ::. Ni Hsin Group is a leading supplier of premium stainless steel products with global Original Design Manufacturing (ODM) and Original Equipment Manufacturing (OEM) capabilities. Whether our customers provide the stainless steel cookware designs or they collaborate with us by using our proprietary designs, Ni Hsin Group is capable of providing innovative and high quality stainless steel cookware products for their needs. A global brand looking for a quality Supply Partner for ODM. An up-market stainless steel cookware retail outlet. 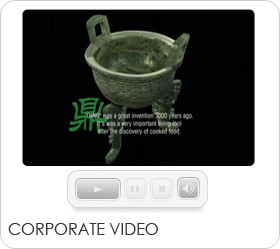 A Direct Marketing/Multilevel Marketing company looking for an exclusive high quality and well-designed stainless steel cookware range. Searching for an exclusive high-end Multi-ply Stainless Steel and Induction Compatible Stainless Steel Cookware range for your private labels; serving both Household and Commercial Industry. In need of an expert to tailor a premium quality Multi-ply Stainless Steel and Induction Compatible Stainless Steel Cookware range for you. In need of a premium quality Multi-ply Stainless Steel Cookware range but do not have a sufficiently high volume for your private brand names. We are the high end stainless steel cookware design and manufacturing experts that you can partner for exquisite stainless steel cookware products. Our objective is to seek long term business partners who are seeking a reliable and capable supplier to meet their design and production outsourcing needs, so that our business partners can focus in their brands, marketing and distribution.